Patterned on their famous SR, the Ibanez GSR offers the same alternative approach to electric bass that all SR basses do. Light in weight, heavy in tone, with a fast, thin neck that you will find just a bit more comfortable than other brands; whether you're a veteran bassist, a 6-string guitarist or just starting out. 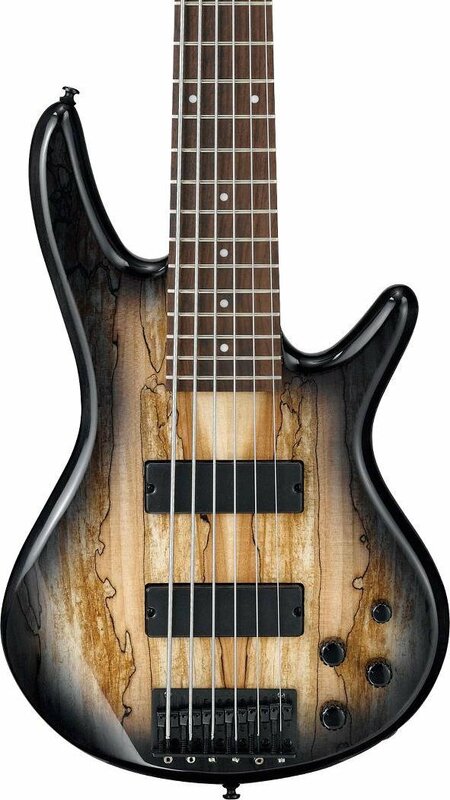 Built to hold its own against pro level competitors, the GSR206SM features a solid Poplar body, and exotically Spalted Maple top. A Jatoba fingerboard, accented with medium-size white dot inlays round out the visuals. A sleek, comfortable, GSR6 Maple neck; widely recognized as the industry standard for playability, and rock solid Ibanez B16 bridge, rev up the specs to accommodate whatever you set out to play. Factor in Ibanez Dynamix H pickups for clarity and fullness well beyond their price point, and the PHAT-II EQ for ultra wide tonal range and you'll see why the GSR206 ranks as one of the most-played basses of all time.